You want to ensure as many patients as possible around the world are benefiting from your medicines. Is your market access strategy optimised? Do you have the right tools in place to optimise your market access effort, or is there room for improvement? 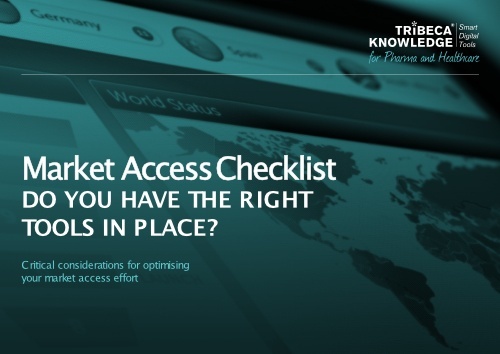 Use our checklist to assess the way you manage your market access and reimbursement effort. Do you have a clear roadmap of who is doing what and when? Do you have a dashboard view of status and timelines for HTA and reimbursement submissions across markets? Do you get alerts where there is a risk of falling behind schedule? Do ensure your teams can collaborate effectively? Do you track and monitor KPIs based on real-time data?